The job: Help keep natural habitats and storage areas tidy to help out the keepers of the nests!! No direct contact with our furry, feathered and scaled citizens, but they'll benefit from your labors. Age Restrictions: 16 years or older. No permission slips needed. Roar!! 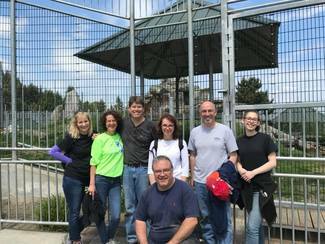 The Cougar Mountain Zoo and Zoological Society of Washington are dedicated to increasing the understanding and appreciation of the earth’s wildlife and the role of humanity in nature through education, research, captive breeding, conservation, exhibition and recreation. Location: 19525 SE 54th Street Issaquah, Washington: Meet at the entry to the zoo.